Areca FAQ System - Q80011801 - I am getting a persistent FAN #2 error on ARC-8050T2 chassis. You can replace fan by a similar cooling fan. Since controller detects fan speed through power consumption of the fan, so please use a fan with similar (SUNON ME92251V2-0000-C99) specification. You can contact with our local distributor for possible replacement part. 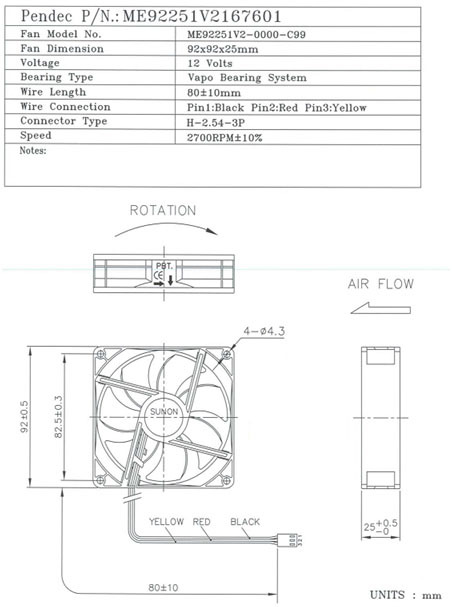 Some distributors have fan modules for customer replacement.